Greetings, dear readers, and happy Saturday! I feel like I've been going all week with next to nothing to show for it, but thankfully I have this weekend to take it easy. Something that has kept me busy this past week has been testing out the recently reformulated 24K Nudes Palette by Maybelline New York! I had read some less than ideal reviews of the original palette, and I was curious about how the reformulated palette performed. I was thrilled to be selected by Influenster to test it out for myself. Let's jump in and check it out! Before I get too far ahead of myself, this is what I was sent in my Influenster Maybelline VoxBox. While the purpose was to review the eyeshadow palette, I was also provided with an Eyestudio Lasting Drama waterproof gel eye pencil in Sleek Onyx and The Falsies Push Up Angel Mascara in Blackest Black to be used as desired to complete my eye looks. 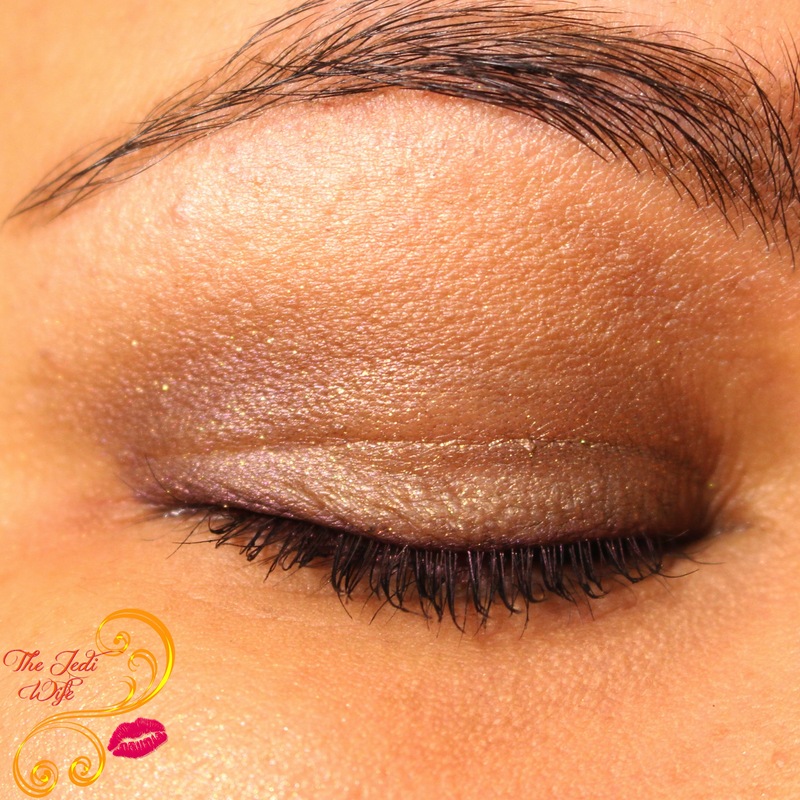 This post will focus on the eyeshadow palette, but I did use the mascara for all my looks below and will note when I used the gel eye pencil. The 24K Nudes eyeshadow palette consists of 12 shades curated to help you customize your look with versatile shades from gold, nudes, and smokey hues. 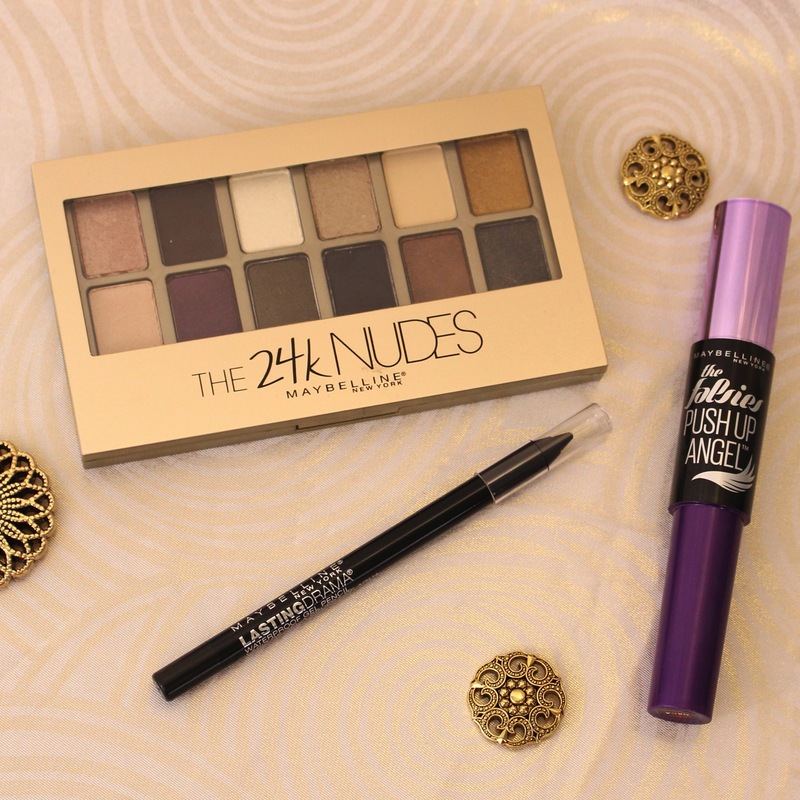 I must admit the name of the palette, 24K Nudes, feels a little misleading. With a name like this, it was surprising that there is only two gold shades- one brighter and one more muted, in this palette. That being said, don't let that deter you from this beautiful palette! The colours in this palette are lovely! I found most of these apply really smoothly to the skin and are well pigmented overall. 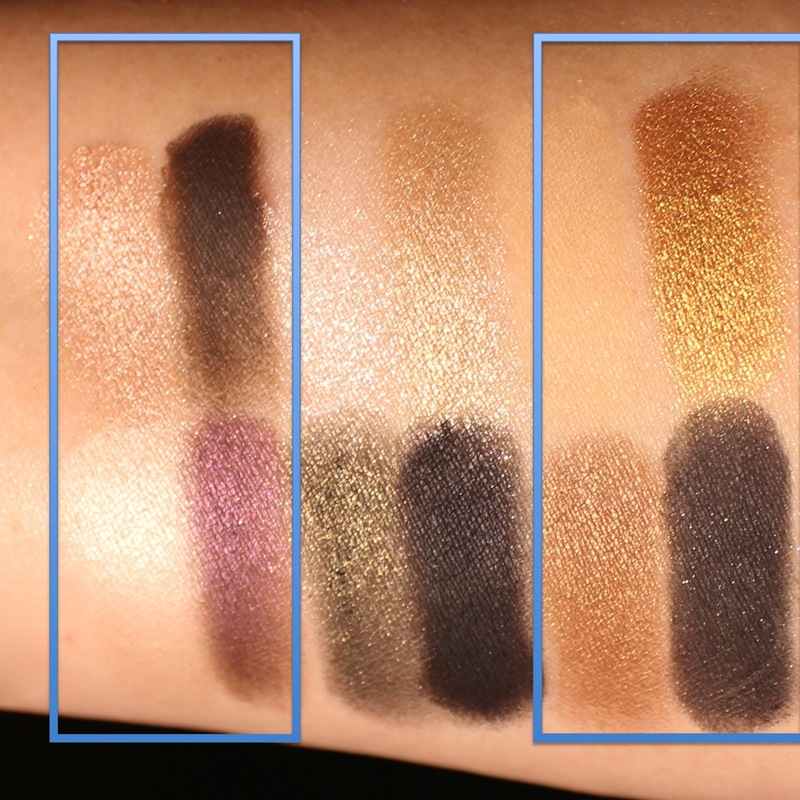 The dark brown on top and both the matte and shimmery blacks on the bottom are dry and not as smooth as the rest of the shades in the palette. They can still be worked with, but they do require extra effort to keep from looking patchy and to blend them into the other colours. While I don't find any of the shades to be truly unique, I do like the combination of shades offered in this palette. The 24K Nudes palette is designed to help you create 13 different eye looks, with each shade carefully placed within the palette itself. On the back of this palette is a handy chart that groups together the eyeshadows as duos, trios, and quads in addition to pinpointing the location on where these shades should be applied for your eye makeup. While a makeup connoisseur will likely ignore it and mix and match shades as they please, it is a helpful tool for those that are less confident in selecting their own colour combinations. While I love to mix and match myself, I opted to follow Maybelline's guidelines for the looks in this post. Let's check them out! First up are the looks I created with these quads. I kept a lighter hand while applying these eyeshadows, especially the purple eyeshadow contained in the palette and part of this quad, as I wanted a very natural look this particular day. The purple can be built up to a darker colour if desired. I also used the brown eyeshadow in the first quadrant to line my eyes. 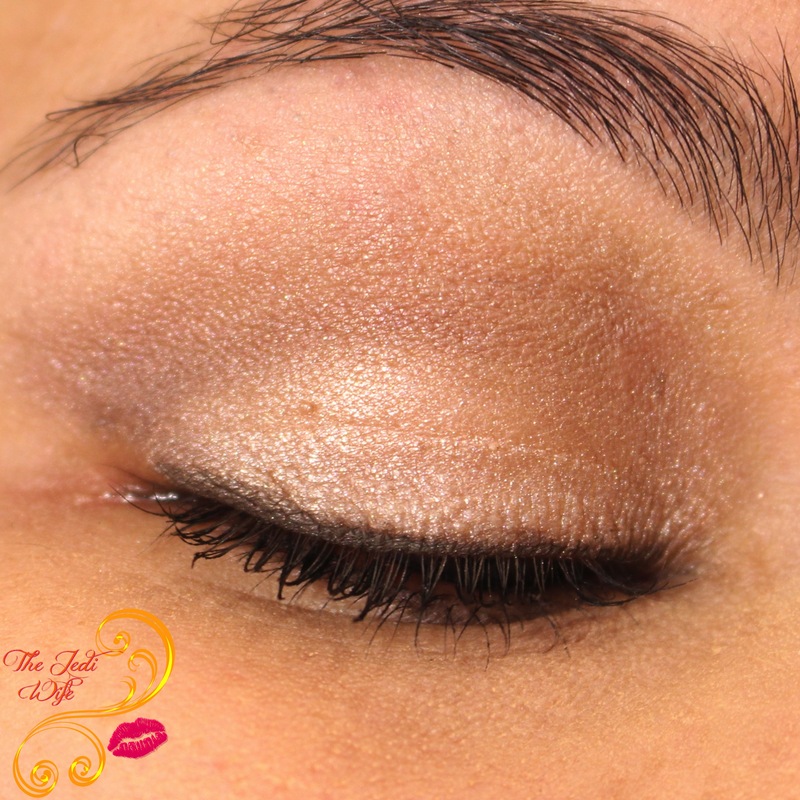 This is a beautiful shimmery eye look for every day! 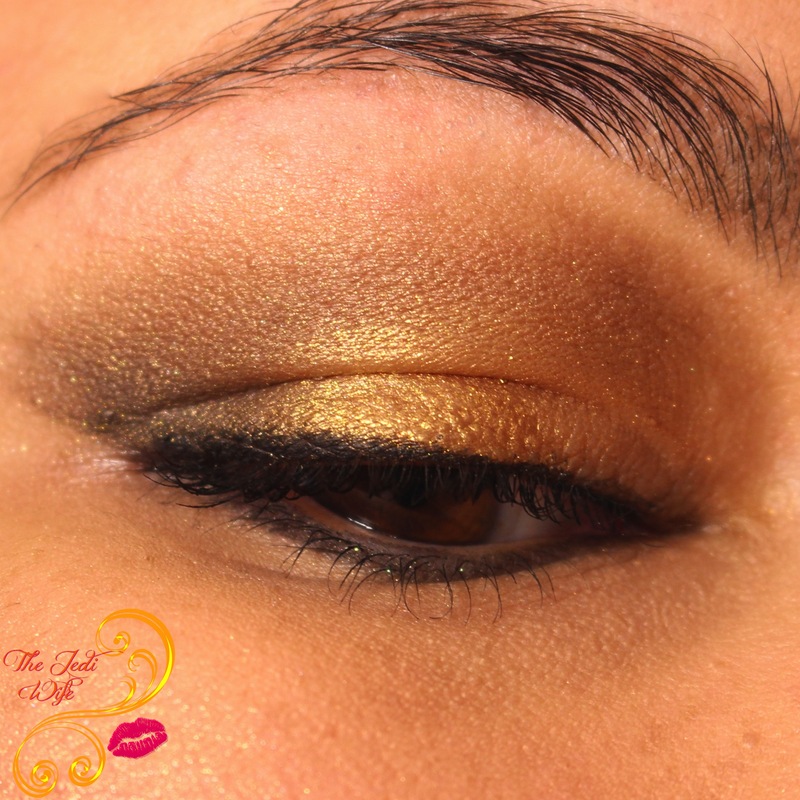 The three shades blended together nicely on my lids and I had no fallout issues. The brown easily lined my eyes with no fallout as well. 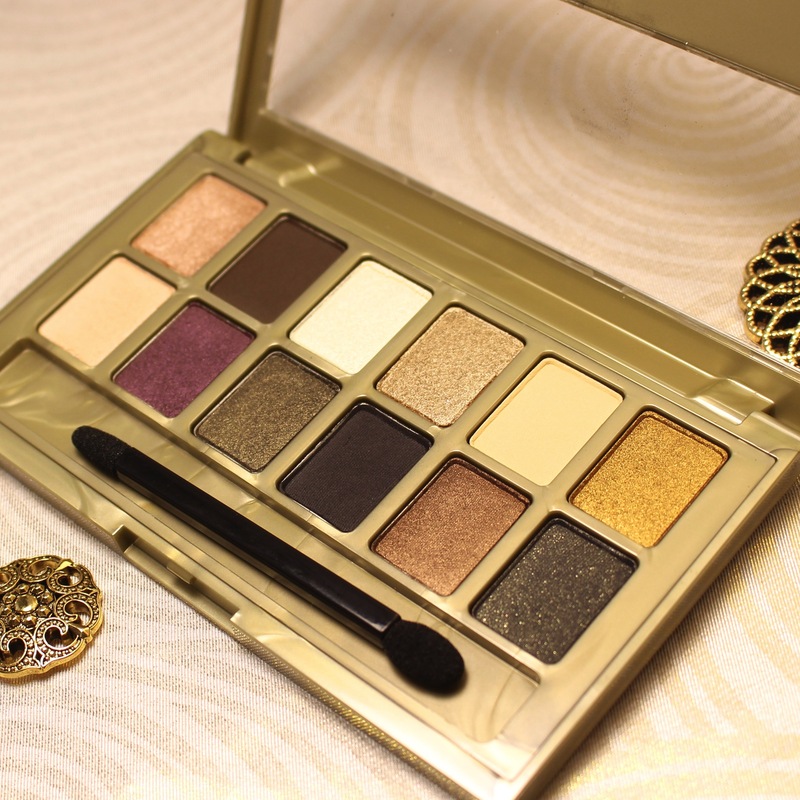 With the focus of this palette being 24K, I knew I needed to use the bright gold in an eye look! I used the third quad on the other end to create this dazzling look. All four shades blended beautifully for me, and I was a little surprised that there was virtually no fallout with the gold eye shadow! The dark black shade with golden shimmer does fallout some, although I found it to be easily manageable. 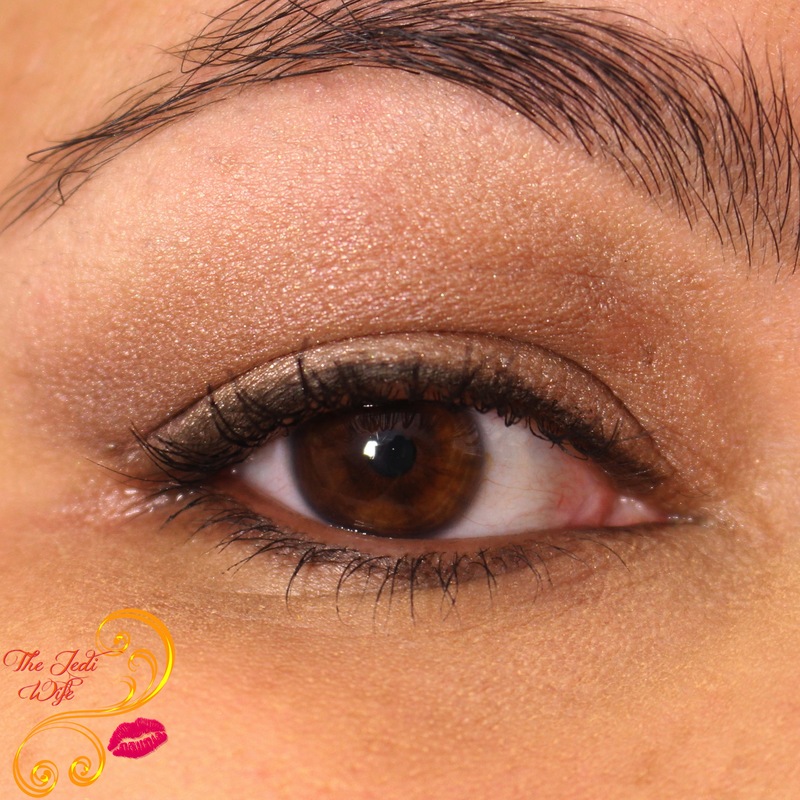 I blended the darker shade into my crease in addition to using it to line my lower lash line. I also used the gel liner provided in this VoxBox on my upper lashline. 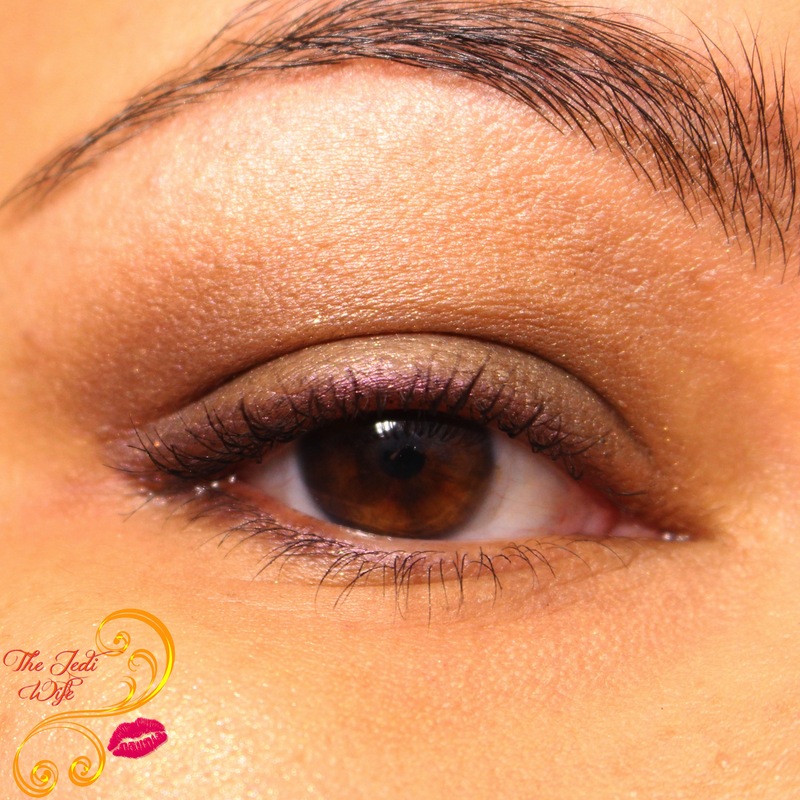 For my final look, I opted to use the designated trio with the olive and purple eyeshadows. First of all, I should apologize for these photographs. The eye look with this trio ended up looking a fair bit darker and more dramatic than it looks here; my camera either made it look very light or the whole image was too dark to see what was going on. On my eyelid is the beautiful olive green eyeshadow. This particular eyeshadow did have a little fallout, but I still found it to be easy to manage. 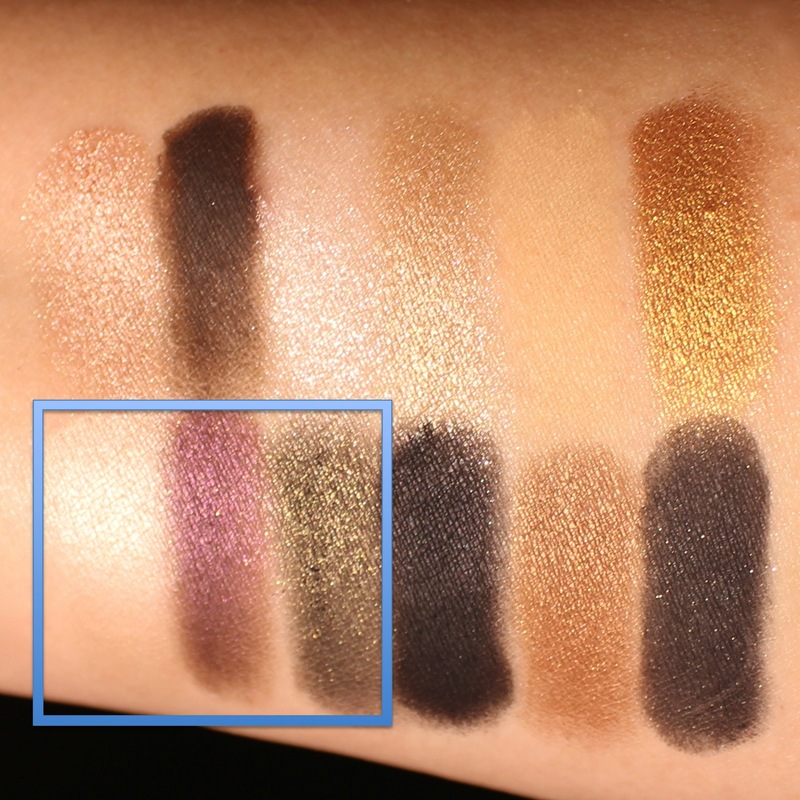 In my corners in the purple, which I find looks like a purple tinted brown when applied on my skin (and yes, I use a clean eye brush!). I really wanted this look to be more purple so I used the purple eyeshadow as an eyeliner as well. Apparently if I want the purple shade in this palette to look, well, purple, it needs to be applied with a heavier hand. 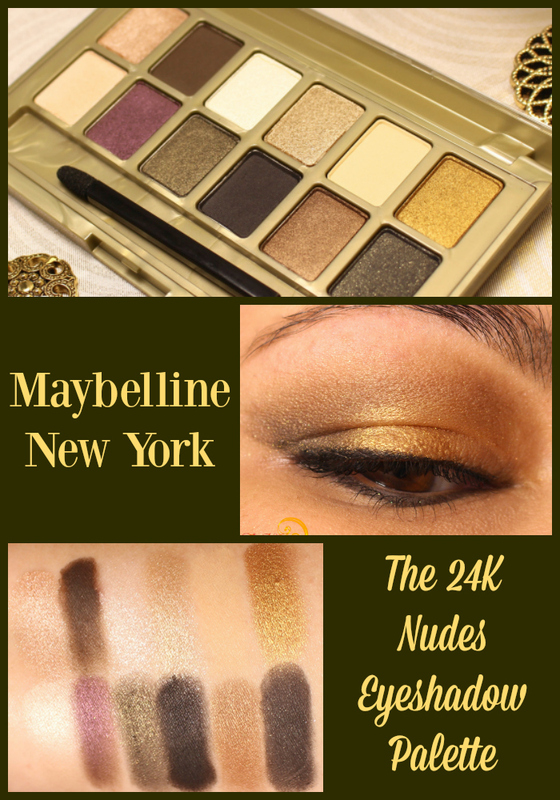 Overall, I was happy with the quality of the 24K Nudes eyeshadow palette by Maybelline New York. Most of the colours are smooth and apply easily with minimal to no fallout. A few shades are on the drier side and can look a little patchy if you aren't willing to work with them a little more, but I still found them to be manageable overall. With a suggested retail price of $11.99 for this 12-pan palette, it's affordable and lends itself well to creating numerous eye looks. 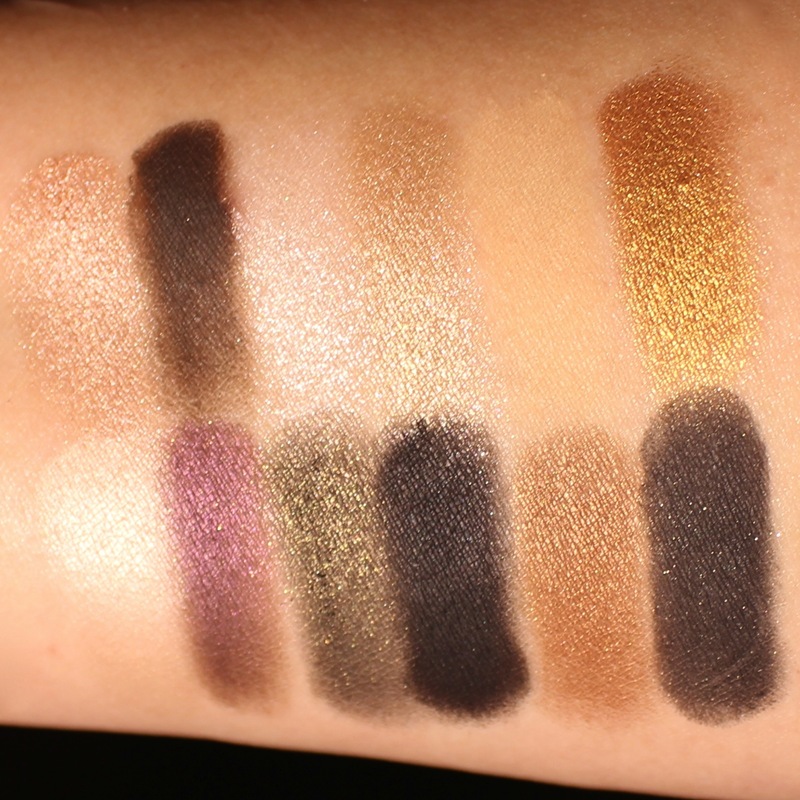 Based on reports on the previous version, the reformulated 24K Nudes palette performs much better and worth the minimal investment. These are really the colors I reach for on a daily basis. It's a bummer some are hard to work with, but I can't complain because of the price! you know....I never realized that's how they set these palettes up. It really makes sense. Whatever lighting your using now is really, really good. I'd love to hear about your set up. Seeing these totally makes me want to get back into makeup! These are all colors that I'd reach for over and over. Gorgeous!